Washing my car on the weekend and what do I find but a nasty little scrape on my alloy rim. My car is new and I just hate having blemishes on any part of it, even if it is ridiculously small. Lucky for me I know just the team of technicians that can repair gutter rash just like this. 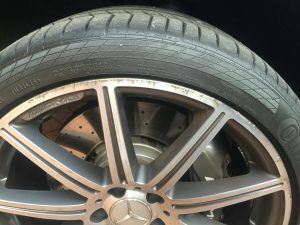 We have a team of lads working with us that take great pride in all the repairs we do but have to say they really have become the experts when it comes to repairing these pesky little scrapes. Although we do not re-machine rims we can repair gutter rash to the outer edge leaving it with a fantastic near new finish. Ok, it’s not exactly the same obviously. Nothing ever is after it’s been damaged but have to say with the expense of having a rim re-machined this is definitely the way to go. So many customers are a little concerned about how it may look after but look at the repair done to these machined rims shown below. Nothing short of amazing. Standard alloy, machined, painted, it’s all in a days work. Cosmetic damage to your vehicle can devalue your vehicle and become less satisfying. While structural damage is unsafe and cannot be ignored why treat any other damage any differently. 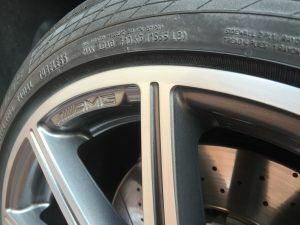 Repair gutter rash and have those rims looking like new. The smallest blemish needn’t drain the piggy bank, call SMART Paintworx to have them repair the gutter rash on little beauty. This entry was posted in Repair Gutter Rash and tagged Repair Gutter Rash. Bookmark the permalink.